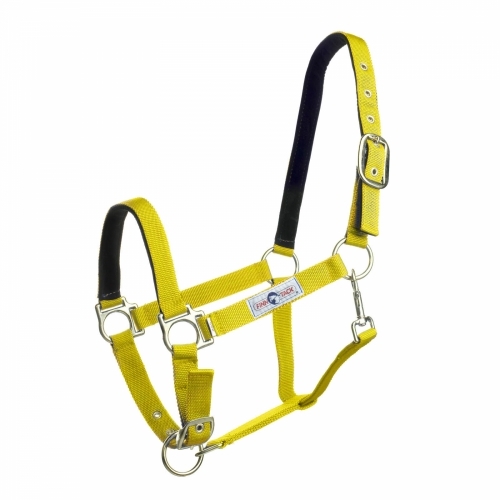 Nylon halter, adjustable at the neck strap and under the nose band. Jaw strap has a snap hook. Neck strap and nose band have a suede lining.